Two servicemen, Roman Golyato and Aleksei Basenko, were sentenced to a suspended prison by “The Crimean garrison military tribunal” in Simferopol for attempting to smuggle equipment that could be used for helicopters, as well as strategic bombers. The corresponding statement was made by the press office of the "Border Directorate of the Federal Security Service in the Republic of Crimea” on Wednesday, October 18,Tass reported. The verdict was announced on the same day, however previously it was not reported. “Golyato and Basenko were found guilty of attempted illegal transfer of equipment across the customs border. The equipment we mentioned can be used to create other military equipment - military helicopters Ka-27, Ka-50, Ka-52, Mi-8t, Mi-24, Mi-26 as well as means of delivery of weapons of mass destruction - long-range bomber Tu-22M3,” reads the message. According to the press service of the “border administration”, the incident occurred in 2016, and a criminal case was initiated in May of the same year under the Articles "Theft" and "Smuggling of Other Weapons, Other Military Equipment" of the Russian criminal code. Golyato was the head of the group for the regulation and repair of equipment for the aviation regiment of the naval aviation of the Black Sea Fleet of Russia, Basenko was an airborne aircraft helicopter gunner of a mixed helicopter squadron. Considering the confession, Senior Lieutenant Roman Golyato was sentenced to three and a half years' suspended prison for attempted smuggling with a fine of 300,000 rubles, and Captain Aleksei Basenko to three years in prison with a fine of 200,000 rubles. 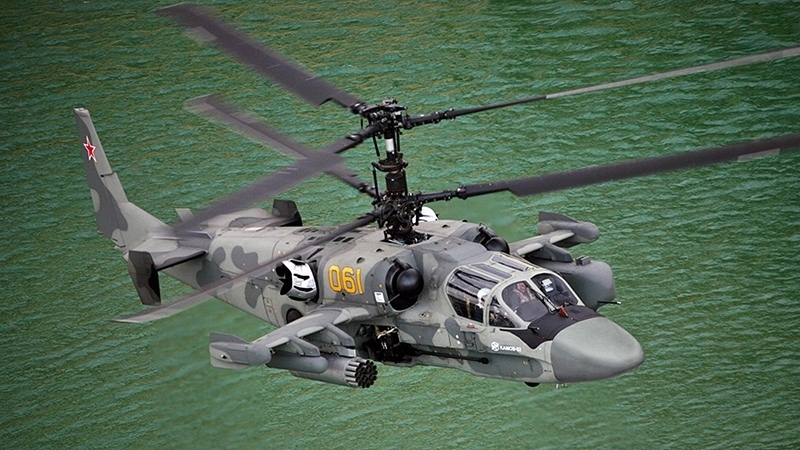 Earlier, Russian helicopters repeatedly violated the airspace of Ukraine in the same year.